Building Firefox is a big endeavor. There are many teams and projects covering initiatives, maintenance, bug fixing, triage, localization, support, understanding feedback, marketing, communication, releasing, supporting infrastructure, crash analysis, and a bazillion other activities all to build a family of browsers and applications. Teams and projects aren't static. People move around as priorities change and the landscape shifts and projects complete or are scuttled. Sometimes projects get started up with a single person. Sometimes all the people except one move off a project. Sometimes we find ourselves working alone, in a basement office, with only a stapler equivalent to keep us company. We are the soloists. You wouldn't believe the list of things we work on. Alone. There's an IRC channel #soloists on irc.mozilla.org. There's also a Slack channel #soloists on the Mozilla Slack . and a variety of other things that alleviate many of the problems we have as soloists. I just created it, so it's kind of empty. I'm feeling alone in the #soloists Slack channel. So alone. Stickers at the All Hands! 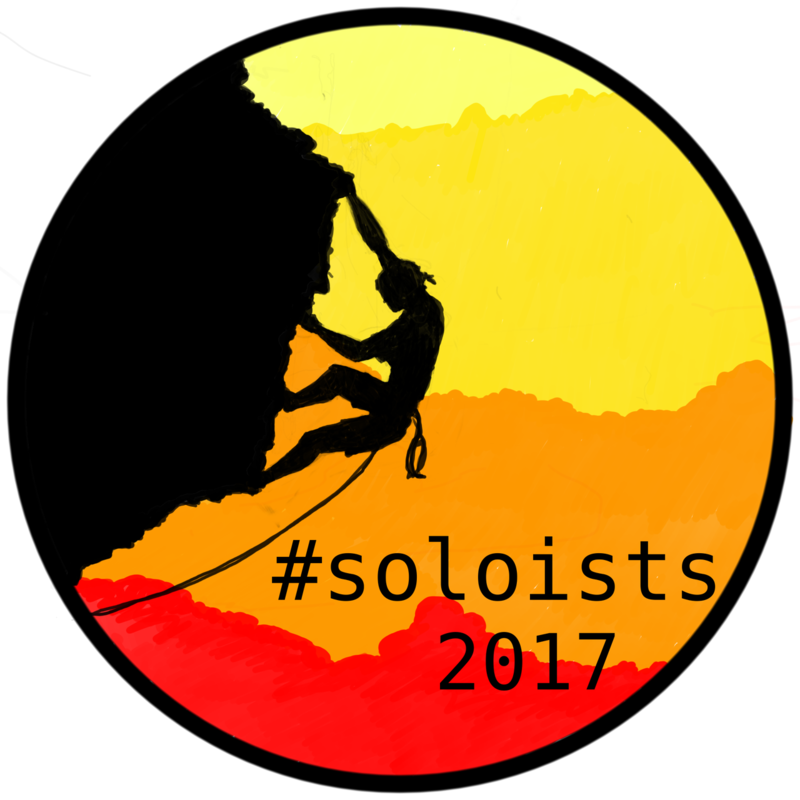 Over the last month or so, we spent some time figuring out #soloists stickers because we like stickers and you like stickers and everyone likes stickers. If you're a soloist, come find one of us and get a sticker. Also, consider joining soloist channels. If you support soloists, come find one of us and get a sticker. Ask us about the things we're working on. We may be solo, but we're working on real projects that almost certainly affect you. As a group, we did great things in the last 6 months. Alone. So alone. That's how they make me feel, anyhow.